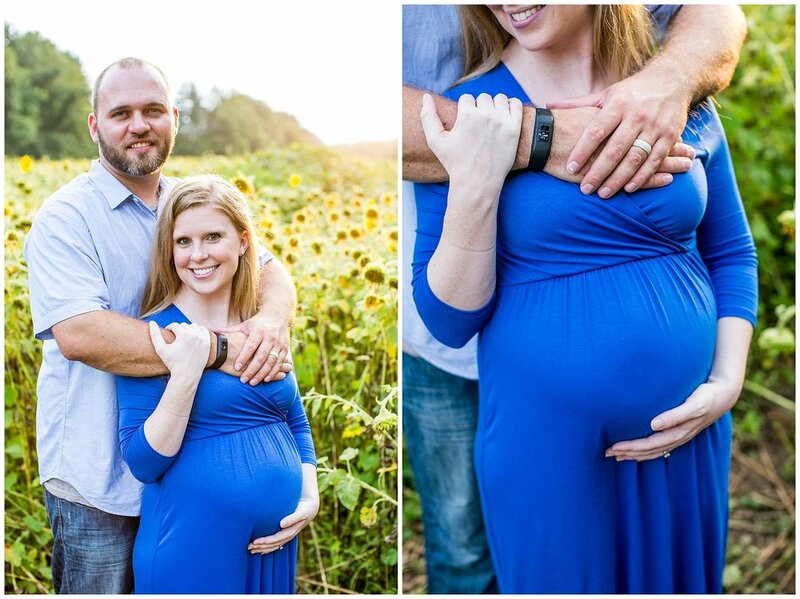 When they asked me to do their maternity pictures, there was no doubt in my mind, it had to be representing of them. Lauren loves sunflowers. Her bouquet when she got married was sunflowers. He baby shower was sunflowers. 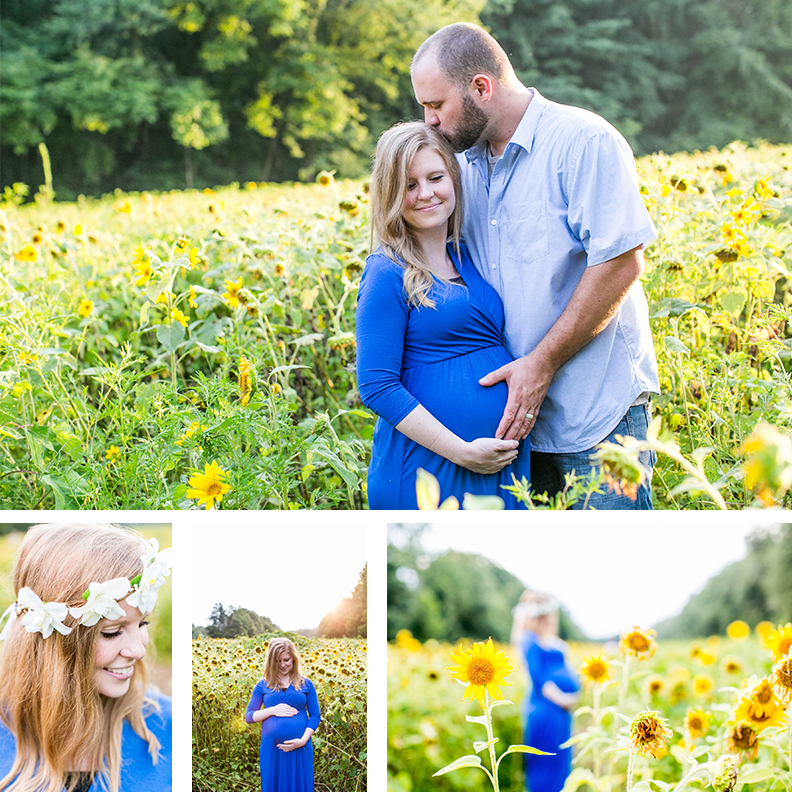 He maternity session had to be sunflowers. When we drove to the only sunflower fields we heard were in bloom in the state in August, we drove over an hour away. Our fingers were crossed. We were bummed that they weren’t more lively… but here’s where this is really cool. There were a few that were in bloom, and they were beautiful, just like their story.